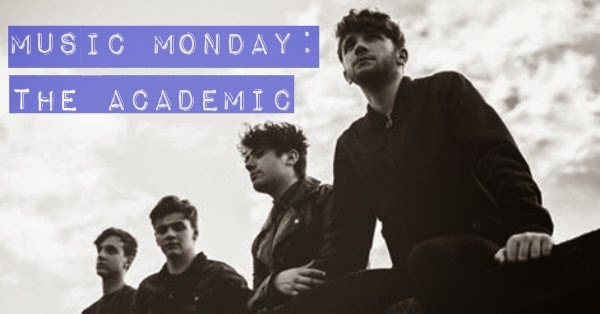 Grab your microphone hairbrush, because this debut single from The Academic will have you bopping all over your room in no time. Founded in 2013, this band of young teens from Ireland have a fun, indie rock/pop sound that's infectious. So far, Different is the only track I can easily find, though if you can find a good audio recording of their other song, Bear Claws, let me know! Hope this perks up your Monday! Cheers to another week! Great tune :-), I always discover new cool bands on your blog. I'll keep an eye out and let you know if I come across a better recording of Bear Claws :-). Now this is a casual headbanger. For sure. This group is a music discovery for me too, I have never heard this tune before. Thank you for sharing, Linda! OMG thanks for sharing academics... I love them already..